Arriving when we said we would arrive. Wearing clean booties or removing our shoes each time we enter your home. Protecting your property by using drop cloths or tarps wherever a tool may touch any surface. Presenting ourselves in a professional manner. Using the highest quality parts and materials. Educating you about the repair and providing the best solution to your problem. Cleaning up after ourselves and leaving your property cleaner than we found it. Being honest and fair in our pricing. When you’re looking for professional heating, air conditioning, or plumbing (residential or commercial) in southern and central Idaho, you’ll find the best people for the job at Evans Plumbing Inc. We started in business in 1975, and we expanded to become the premiere plumbing company in Twin Falls, ID and the Wood River Valley. Our excellent customer service keeps us in business and keeps clients returning year and after, as well as recommending us to their friends. Consistent and reliable service is what we’re all about, and we won’t be satisfied with our work until you are. Our many services include work for air conditioning, geothermal, drain and sewer, and water heaters. Many large organizations in the Wood River Valley have us as their contractor of choice. We also specialize in taking care of maintenance for resort properties that are only inhabited a few weeks a year: we’ll provide you peace of mind by checking your property’s systems with regular service quarterly—even monthly. Our motto is: “Evans Plumbing at Your Door.” Work with our Twin Falls plumbing and HVAC contractors for service that you know you can trust. Proper air conditioning is essential for enjoying a pleasant life in your home during the year. You can’t rely on basic window units to feed your family’s requirements for comfort, and only professionals can correctly equip your home with the right cooling system. 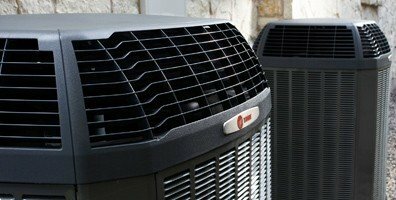 Our trained technicians install many types of air conditioning systems (including solar ACs and evaporative coolers), and they’ll also rush to your aid whenever you need to have a faulty air conditioner repaired. We’re on-call 24 hours a day to see that you enjoy a comfortable home whenever the outdoor temperature begins to rise. A cold winter in Southern Idaho can be a wonderful experience if you have your home equipped with a great, energy efficient heating system. Our heating professionals work with many types of heaters, such as gas and electric furnaces, boilers, and solar-powered systems. We’re also the leader in the area when it comes to cozy and efficient radiant in-floor heating systems. Whenever you have a heating system that’s malfunctioning, you can depend on our experts to reach you and warm your house once again. We’ll also maintain your home heater each year. We started out in the plumbing business more than 40 years ago, and we continue to offer the best for the area when it comes to quality plumbing work. 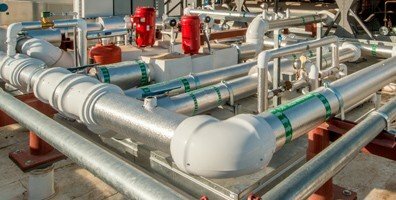 We offer the standard services you may need on a day-to-day basis such as pipe repairs and emergency work for leaks, and we also provide special services such as new construction piping, sump pumps, automatic shut-off valves, and work for gas lines. 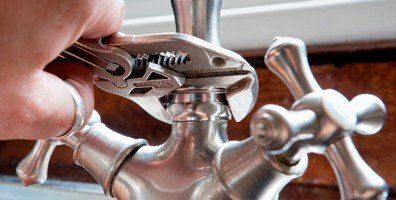 Our plumbing professionals use only the best tools, and we’ll treat your home with the respect it deserves on each and every job. Without good drainage for your house, you’ll soon find yourself in an unlivable situation. Whenever you encounter trouble with broken drains or a clogged-up sewer line, simply give our plumbers a call. We work with both sewer lines to the municipal system and septic tanks. 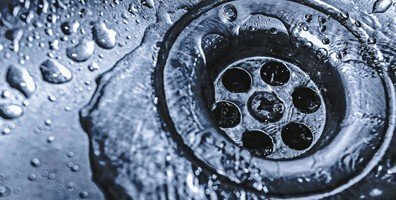 For drain cleaning, we use the finest in hydro-jetting technology to scour away build-up and clogs in drains and even down in the sewer line itself. There’s no job that’s too small or too large; we’ll even take care of a full sewer line replacement if you need one done. 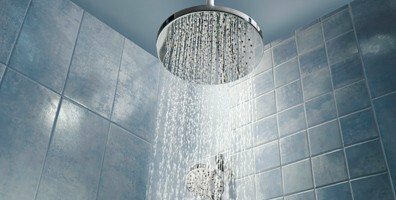 Come rain or shine, a heat wave or a cold snap, one thing that you’ll always need for your household is hot running water. This makes the water heater in your home one of its most crucial appliances, and you only want the finest professionals to install, repair, replace, or maintain one. 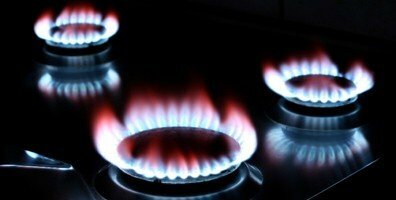 We have the water heater experts that you need to protect your hot water supply and your heating bills. We install and service conventional storage tank water heaters as well as high-efficiency tankless, hybrid, and even solar water heaters. The power of the earth just under your feet is a resource that you should consider tapping to provide your family with comfort all year round. How can you do that? It’s easy when you call our geothermal experts and talk to them about installing a ground-source heat pump for your property. 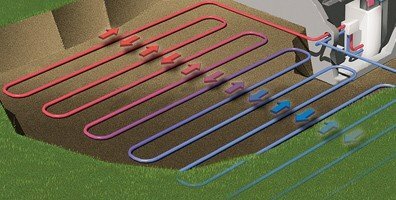 This comfort system works much like a standard air-source heat pump, but it draws and deposits heat through refrigerant loops buried in the ground. Going geothermal will help you save energy while also benefitting the environment, and geothermal heat pumps have immensely long service lives. We’re committed to businesses and commercial properties in Twin Falls, ID and the surrounding areas as well. You only need to take a look at the many companies we’ve helped to understand how important this side of our business is. Call our commercial plumbing contractors to schedule the installation, replacement, repair, or routine maintenance your building’s plumbing requires. We offer service for grease traps and commercial water heaters as well. Get in touch with our commercial plumbers today and find out all the ways they will benefit your company with quality plumbing work.